Stay in shape with us! Many of our guests are active holidaymakers. They bring their individual fitness philosophy with them, and love pushing themselves physically right to their limits. Or, they look for a welcome getaway from the day-to-day, so they can try out new pursuits here in South Tyrol that are not a possibility at home. You are in the best place possible for this to be a reality in Pustertal. Right here in the hotel, we have everything you need to work on condition, strength and endurance. You do not need to be an extreme mountaineer to learn to appreciate the value of a hotel gym. It is entirely possible that you might want to get back in shape for a tour after a long break. People sometimes need to lose a few pounds before they step into ski boots or hiking boots. 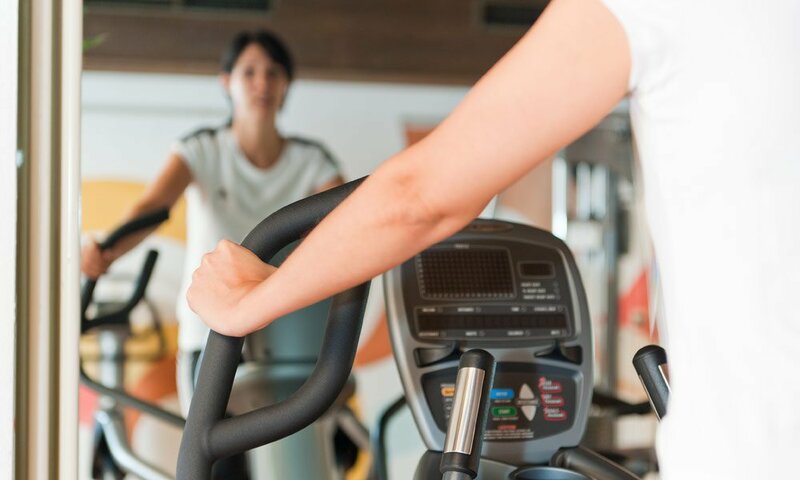 Many of our guests just want to maintain their fitness level and make an active decision therefore to go to a hotel with a gym in their preferred holiday region. Whatever your reasons for visiting us, you will find the right machines and kit here to achieve your goals. In our large gym are popular machines like steppers, treadmills and benches. We have all the modern technology here that you would expect of a conventional gym. What most gyms do not have is a pool and a sauna. And after your workout, there is a sunny meadow to relax and enjoy the sun.